The Ridge Casino is well-positioned as a prime conference and banquet venue in Mpumalanga. Our banqueting and conferencing team is integral to positioning the property as a preferred venue for large-scale events, banquets conferences and weddings in Mpumalanga. The team works closely with clients to create world-class functions that are tailored to meet their specific requirements. With The Ridge Casino, companies have access to a one-stop function and events solution.  Everything from catering, staff, entertainment, décor, gifts, sound and lighting to staging and bar facilities is taken care of by the Ridge Casino’s highly-capable team. The facility itself can accommodate 800 people for banquet-style functions and up to 1200 people for cinema-style and cocktail events. The venue can be dressed for any occasion, ensuring alignment with the overall theme of events hosted there. Telephone: +27 13 655 9336.